So, how cool is this! I love new products and pH Miracle has one here for you that makes for a better fit for many of you reading this now. This is the new pH Miracle Water Mark. Just in time for the holidays. This would make a fantastic gift for anyone and you will be on target for the kick-off of the New Years Cleansing Fast. What’s “neat” about this new water filtration system is that it produces the best alkaline drinking water anywhere, superior to both tap and bottled water at a more affordable price. If you are at all like me you are loving the pH Miracle Water Mark already. 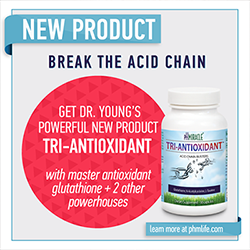 An even better feature is that Dr. Young created the pH Miracle Water Mark and designed it to bring many of the amazing benefits of electrically ionized water to the average consumer. This water filtration system is a high-performing and super-affordable. That is wonderful because more people can have access to the healing benefits of clean water. So this is the question on the table now: Which is better, an electric water ionizer or the non-electric Water Mark? The answer: The results and benefits of the Water Mark are equal to the top-quality water supplied by electric water ionizers. The Water Mark is great because it will produce high-quality, superior water at a more affordable price. After 30 years of customer feedback and worldwide use, the electric ionizer has proven to be an astoundingly effective product, but it is just too expensive for many people. 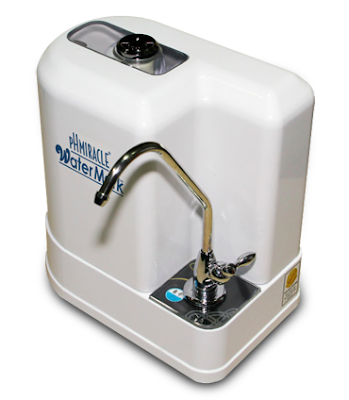 With the Water Mark you can get the best quality drinking water possible that meets your budget. That’s spectacular!